An Authorization Letter is a letter that confirms a person’s rank or authority and delegates his duties and powers to another individual. It allows or gives permission to another person to receive a particular document, check on private information, or claim an amount of money. An Authorization Letter can be considered as a contract that is legally binding and is pretty easy to whip up. An example of a situation where an authorization letter is needed is when a person wishes to check on the status of his Social Security Benefit Claim but is unable to personally visit the agency due to his work schedule. 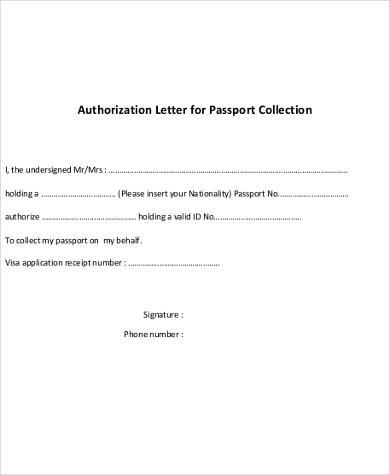 A friend or a family member can be requested to check on the status as long as that person carries a written letter of authorization. 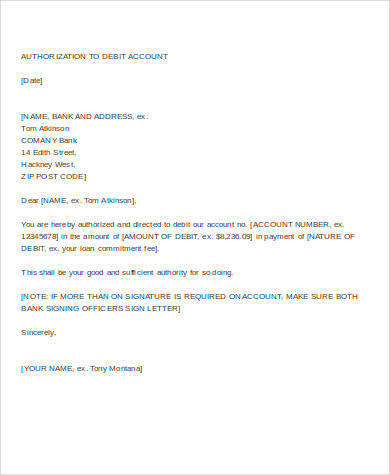 As with other business letters, an authorization letter must follow the standard format of business-letter writing. Your name should be indicated on the first line, followed by your street information, and your city, state, and zip code on the third. Indicate the date that the letter was drafted. 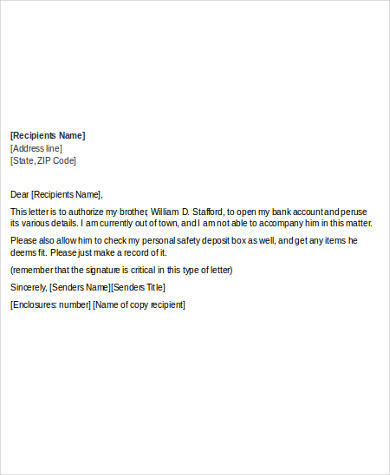 If you know the name and address of the person to whom you should address the letter to, indicate it in the same business form one space below the address. 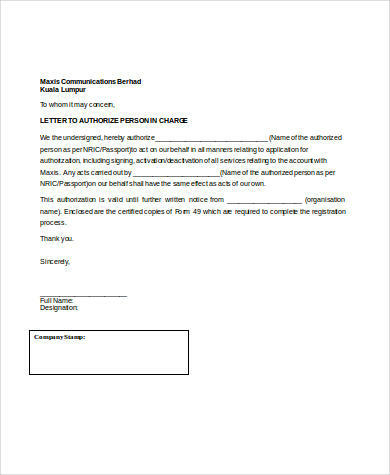 Take note that the recipient is the person who is meant to receive the letter and not the person whom you have given authority to. Begin your letter with a salutation and the appropriate title. 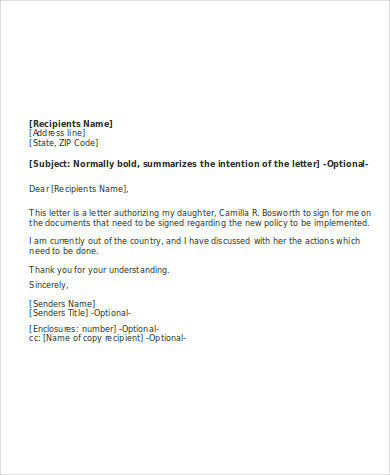 Since authorization letters are formal business letters, it is important that titles and the person’s last name are used as basis instead of the first name. Make your authorization letter short and crisp to avoid misunderstanding and misinterpretation. 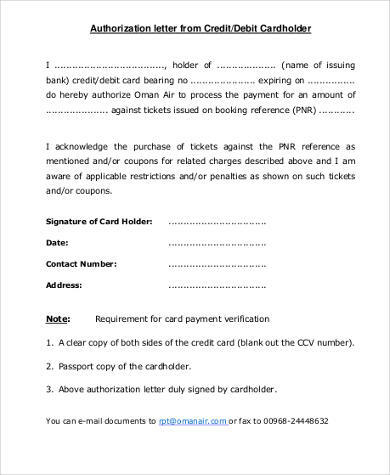 Indicate the name of the person you are giving authority to and the date of validity of the letter. In some instances, you may be unsure of when the transaction will take place. 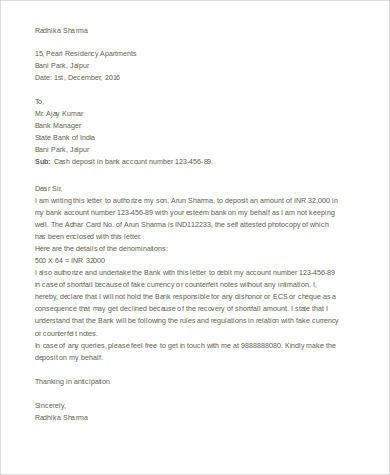 In cases like these, a validity period may be put in, such as, 30 days or a month. I, John Smith, hereby give full authority to my wife, Jane Smith, to follow up on the status of my Social Security Benefit Claim as I am unable to personally do so. This authorization letter is deemed valid for January 12, 2017 only. Let the recipient understand the reason why you are unable to personally attend to the errand and had to use a proxy. The explanation might indicate that you are out of town, ill, or incapacitated. 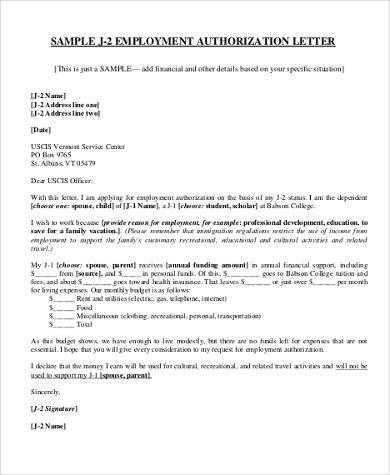 End your authorization letter with a closing word, such as “Sincerely” or “Respectfully” and indicate your signature at 3 to 4 spaces below it.